The health of your hair and scalp is affected by your nutrition; certain vitamins help keep your hair shiny and your scalp smooth and hydrated. Because of these effects, these nutrients are often added to supplements that are marketed to prevent or delay hair loss. 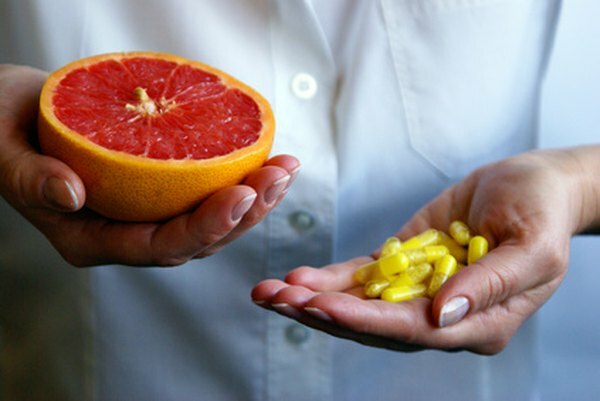 You can find these vitamins in foods, supplements and scalp treatments. Vitamin A helps to balance scalp sebum, which is the oily fluid on the hair and scalp. Vitamin A can be found in liver, milk, egg yolks, mozzarella cheese as well as dark green, yellow and orange vegetables. These include sweet potatoes, carrots, mangoes, spinach, cantaloupe and apricots. Consult your physician before using supplements or increasing dietary levels of vitamin A. Extreme vitamin A overdoses can harm the skin and bones, causing weakness, brittleness, fatigue or vomiting. Vitamin C aids the scalp by preventing free radical oxidation of fair follicles and hair loss. Without vitamin C, hair becomes brittle and the scalp weakens. It can be applied topically by mixing citrus juice with shampoo, but is more effective when eaten regularly as part of a balanced diet. Foods rich in vitamin C include broccoli, tomatoes, papaya, mango and kiwi. Bell peppers also are a good source, with red, yellow and orange peppers having twice the vitamin C of green peppers. Vitamin E is a fat-soluble antioxidant that increases oxygen uptake within tissues, improving circulation to the scalp and increasing the health and growth rate of hair. Dietary sources of vitamin E include nuts, sunflower seeds, green leafy vegetables, fortified cereals and oils made from soybean, canola and corn, as well as other vegetable oils. Nuts high in vitamin E include peanuts, almonds, pine nuts and hazelnuts. Niacin is a colorless, water soluble organic compound that, like vitamin E, improves circulation to the scalp to improve the health of hair. Rich food sources for niacin include chicken, turkey, wheat germ and many types of fish. These include catfish, cod, pollock, orange roughy, snapper and halibut.